Book Funk Conspiracy as your York wedding band, we provide a professional and reliable service that will turn your special day into a dream come true. Now relax and use our definitive York wedding guide to ensure everything falls into place…. Situated in North Yorkshire approximately half way between London and Edinburgh, York is beautiful historic walled city. Featuring the majestic York Minster (Northern Europe's second largest Gothic Cathedral) and many gorgeous buildings from the medieval period onwards, York is an ideal place to host your fairytale wedding. 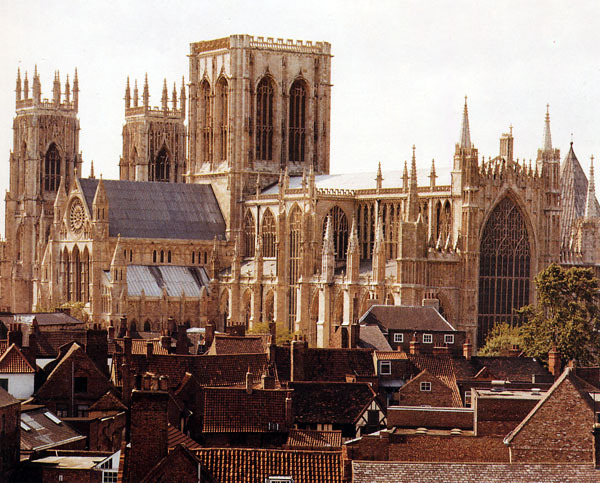 Tourists visiting York have a wealth of scenery and attractions to enjoy. A walk around the Shambles shopping street and the narrow Snickelways gives a feeling of what life was like in Medieval England. The many museums of York also show the fascinating history of the area, including the Castle Museum, The Yorkshire Museum, JORVIK Viking Centre, York Dungeon and the National Railway Museum. 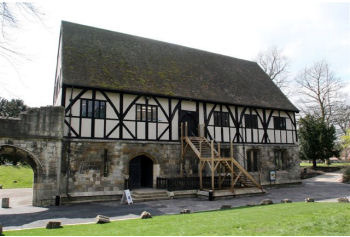 The Hospitium at York Castle Museum is a fabulous building in the grounds of the ruined Abbey. Boasting a beautiful stone room downstairs and a high vaulted Tudor style upstairs room ideal for wedding breakfasts. The surroundings with the museum gardens and abbey make for stunning wedding phtotgraphs. Barley Hall is a stunning medieval townhouse and the former home of the Mayor of York. Lovingly restored to it's original splendour it boasts a magnificent great hall. Perfect for a unique and sumptuous wedding by candlelight. The Grange hotel is a wedding venue and boutique hotel all in one! Inhabiting a Regency Townhouse in the centre or York it features a range of elegant rooms to cater for both intimate and larger weddings. 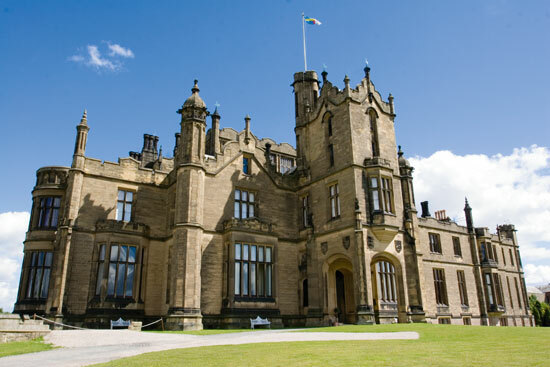 The grandeur of Allerton Castle is a fine location for an impressive wedding reception. Conveniently situated close to the A1 near York this striking Tudor-Gothic Victorian house features one of the highest Baronial Halls in England, almost 24m high. Adorned with oak panelling, stained glass and portrait gallery landings this is a beautiful room for receptions. Funk Conspiracy can testify to the great acoustics of the room too. Goldsborough Hall provides an ideal setting for a grand occasion or an intimate affair. There are ground floor state rooms consisting of an oak-panelled Jacobean library and the Drawing and Dining Rooms are all included as part of the hire of this superb venue. The Hall stands in 11 acres of beautifully landscaped grounds which boast unspoilt elevated views over tranquil parkland. The Hall and its grounds are available for hire on an exclusive basis throughout the year and should you wish to spend the first night of your marriage in a royal residence, there are a number of magnificent bedroom suites in the main house. Newburgh Priory is another magical location that has old fashioned charm and elegance. It was founded as a monastery in 1145 and is now a magnificent stately home surrounded by 40 acres of picturesque grounds, lakes and ancient woodland. Set in an Area of Outstanding Natural Beauty the house provides uninterrupted views across the lakes. Civil ceremonies can be held in one of three superb Georgian rooms for up to 100 people and small receptions can be held within the house. For larger receptions there is a choice of two wonderful locations for a marquee: on the ancient lawn with the entire house as a back-drop or within the ruined walls of the Long Gallery. Cedar Court Grand is a luxury Hotel and Spa with an elegant ambience. Situated in an old railway headquarters it has been carefully restored and features many well appointed rooms and a spa with beauty and holistic treatments available. The rooms range from classic accommodation to the spacious suites and the indulgent penthouse. The Minster Hotel boasts 34 rooms each with their own individual character. With Victorian charm and situated close to the imposing York Minster this hotel is peaceful yet convenient. York City Centre II Apartments are nestled on the banks of the river. Recently built in 2009, these stylish apartments offer plenty of space with open plan kitchen, lounge and dining areas, large bedrooms and a balcony that really adds to the apartments’ classy and trendy feel. Sleeping 2 – 6 people at reasonable prices, these apartments offer excellent value for money in the heart of York. Bistro Moderne is run by Michelin Chef Jeff Baker. It aims to be cosy and informal with simple yet bold cuisine. This award winning restaurant often has traditional Yorkshire but with a modern twist. Betty’s Tea Rooms. York offers some of the country’s best Tea Rooms. Try Betty's, offering freshly baked cakes, fine teas and even have a shop that sells gifts and hampers. You’ll find Betty’s in St Helen’s Square right in the heart of York. Steeped in history, Betty’s is the ideal place to chill out with an Afternoon tea. If you fancy a classy night out, head to the Living Room, a piano bar and restaurant. Situated on Bridge Street it has fantastic views across the River Ouse and complemented by its stylish interior, really has a refined ambience. Offering dishes from pan-seared scallops to 21 day aged fillet steak, as well as high quality vegetarian meals, the menu has something for everyone. The Funk Conspiracy York wedding guide was written by Navella Caretto and Richard Owen.